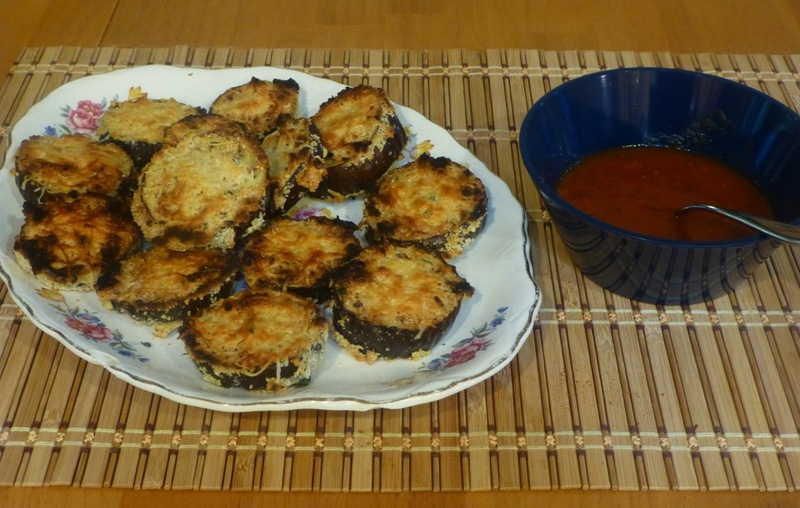 I had bought some eggplants so decided to try this paleo Crispy Baked Eggplant Dipper recipe. It was a hit — even as leftovers! 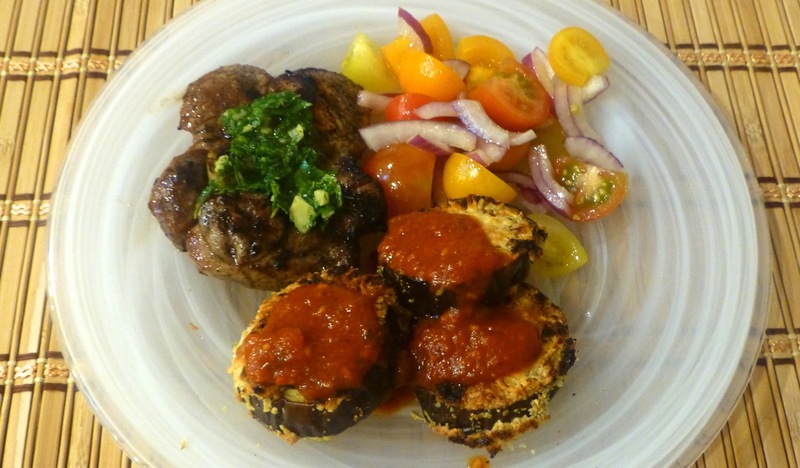 I served them with Lamb Chops with a Herb and Garlic Sauce along with a Tomato/Onion Salad. Delicious! They’ll come out looking like this. Yes, yes, some of them look a tad crispier than others but that didn’t affect the taste. Remove them and place them on a platter. You’ll be serving this with a marinara sauce. Set up a “breading” station using 3 large bowls or plates. 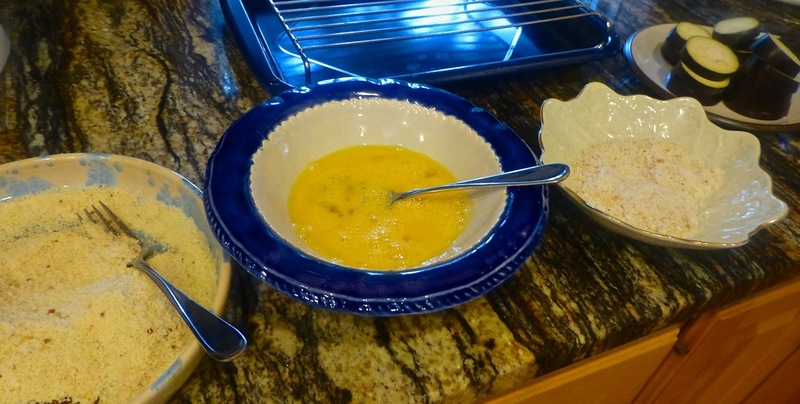 In the first dish, add the coconut flour and season with salt and pepper, to taste. In the second dish gently beat the eggs. In the third dish combine the almond meal, Italian herb seasoning (if using), and the garlic powder. Slice the eggplant into 3/4-inch slices. 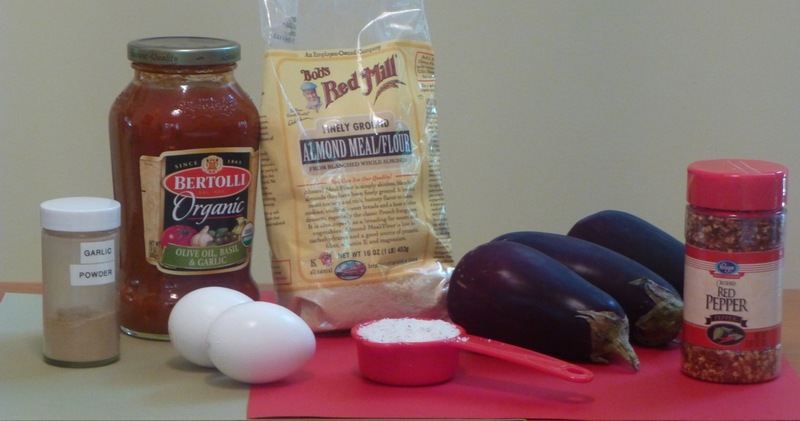 Coat the eggplant pieces in coconut flour, then in the eggs and finally in the almond meal. Next, arrange the eggplant pieces on a rack over a cookie sheet (so you don’t have a mess). Bake this in the oven until crispy about 25 minutes. If you’re using the cheese, shave the parmigiano-reggiano in a small bowl. 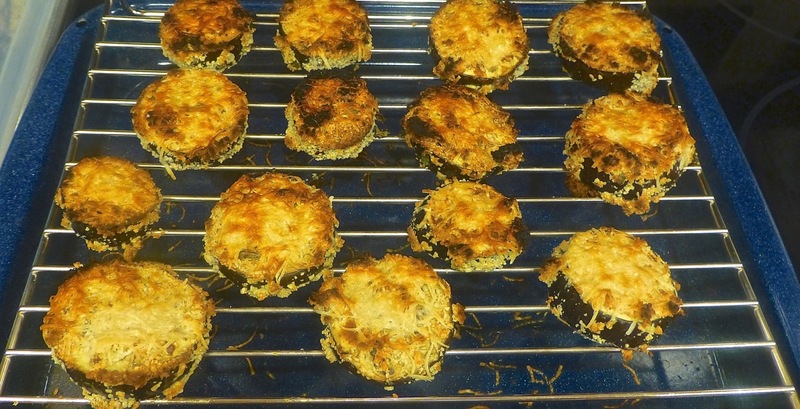 When the eggplant has baked, remove it from the oven, turn them over and sprinkle the parmigiano reggiano on each piece of eggplant (about 1 tablespoon). Set your oven to “broil” then put the eggplant back in on the middle rack for approximately 4 minutes or until the cheese is melted or bubbly. Garnish with the red pepper flakes if you like. Serve with a small dish of marinara sauce for dipping. Whala! That’s it! Here’s what the final meal looked like.